It’s that time of year. Work, shopping, parties, family and the list goes on and on. This joyous and festive time of year can very easily turn into overload, stress, and overwhelm you if you don’t manage your time effectively. 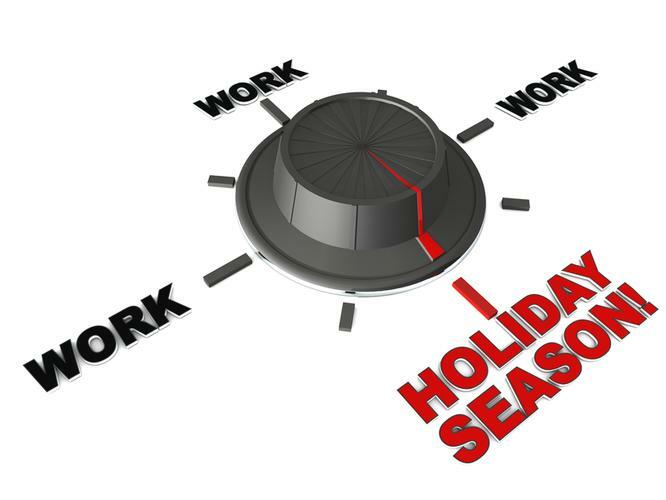 The following tips are designed to give you the freedom and balance you need to fully enjoy the holiday season. The list should include the obvious items like parties, shopping, work, etc., and also include the other items not ordinarily found on a “to-do” list (watch TV, spend time with kids, quiet time with your significant other, etc.) Listing everything is the key to balance at this time of year. This is a critical one. Follow the plan you just created. You’ll have those times when you “don’t feel like it” but follow it anyway. Getting past that moment of not feeling like it is your doorway to a holiday season of having everything you want. When you name an item in your schedule, give it a name that inspires you. You could write “toy shopping for Sally and Johnny” or “giving Sally and Johnny a merry and loving Christmas that they will remember”. If you miss something in your schedule, simply reschedule it for another time. When following your plan, remind yourself this is your plan and your way of having everything you want this holiday season. You can even write yourself a note that you can read every morning about following your schedule every day. It is the holiday season, have fun and enjoy it! Lou Markstrom is the co-author of “Unleashing The Power of IT: Bringing People, Business, and Technology Together”, published by Wiley as part of its CIO series. He is also a professional development specialist at DDLS.